It’s been more than a year since I ended a fellowship at Thompson Rivers University where Brian Lamb and I cooked up our SPLOT concept (what the SPLOT? See ’em at a lovely short URL or see the presentation we did at OpenEd 2015. They have been bubbling up slowly seeds of interest and people are actually using them in their courses, which is both exciting and a tad nerve wracking. Oh well. I do miss all the colleagues I worked with who got to hang out this week at the BCCampus Festival of Learning. 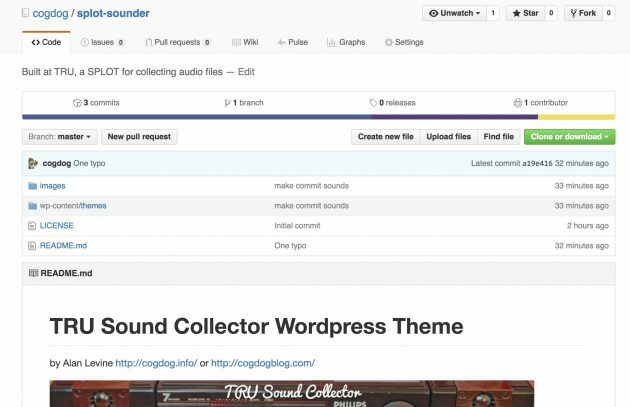 And when I checked out the site, it was nice to see that he had cleverly deployed one of the least used SPLOTS, the TRU Sound Collector. Like the Image Collector, which it was more or less spun off from, it offers a way for people to share audio content in one place. WHat was different in this one is that people can upload mp3 audio files, but they can also add sounds via a URL to any mp3 sound file or anything in Soundcloud… the theme just embeds them as players. But what Brian et al did was an interesting way to deploy these media collectors – by making the front of the site a static page, he made it a workshop platform with all the materials, and the sound sharing was one functionality within. 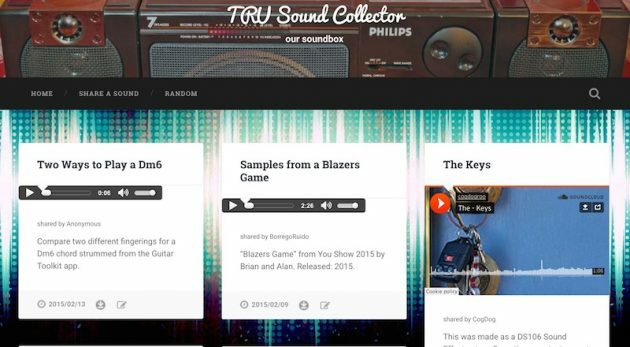 It looks like a Reese’s Peanut butter cup combo of the TRU SoundCamp and the Sound Collector SPLOT… two great audio tastes. So there it is… barely tested, and maybe chock full of typos, but now totally forkable. Awesome. I mentioned the SPLOT options to Mike Wesch as a possible option for them. I get a chance to go up there and play around with the idea of ds106 for anthropology. Wonderful stuff, the splot and its child are beautiful.